An area of outstanding natural beauty in Europe, the Loire Valley is also affectionately known as the garden of France. The valley spans over 280km and is located in the beautiful middle stretch of the Loire River in central France. It’s filled with so much culturally and historically important architecture it has earned itself a world heritage site status. 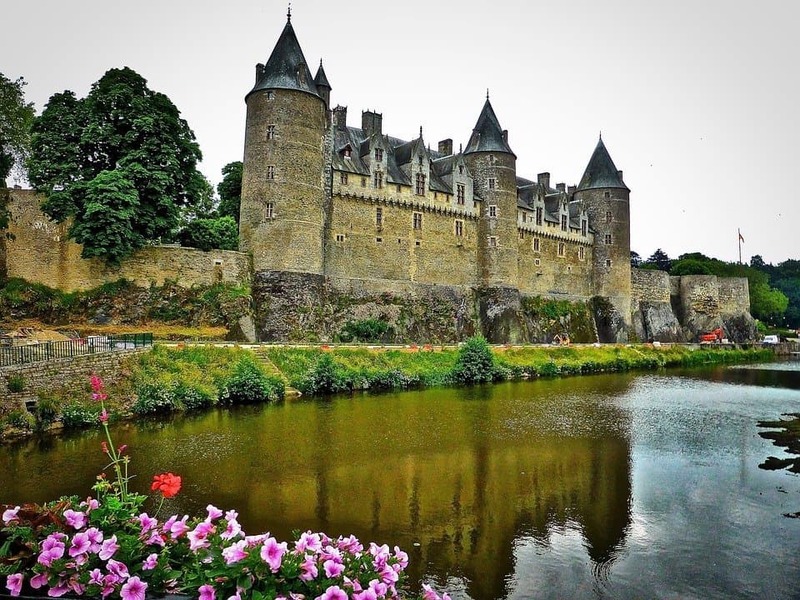 One of the most visited places in France, it’s known for its large collection of fairytale-esque chateaus and mansions, exceptionally beautiful landscapes and one of the most striking rivers in Europe – the Loire Valley is a gentle but most definitely bourgeois paradise! Looking for an equally beautiful place to stay? Try the classically French Château du Paradis, the gorgeous and quaint Le Clos des Ormeaux or the popular Château De La Coutancière all set in the spectacular unspoilt scenery. The sun-soaked Mediterranean coastline of southeast France is also known as the French Riviera. The glamorous region has transfixed many famous visitors over the decades (including royalty, writers and artists such as Pablo Picasso and Henri Matisse) and its miles of gorgeous coastline and azure waters easily make it one of most beautiful places to visit in France. Also pay a visit to the stylish coastal cities of Nice, Cannes and St-Tropez all located here – they still remain exclusive holiday resorts where the beautiful people beautiful reside even today! If you’re thinking of staying Aéva Hotel is a charming 4-star hotel overlooking the sea, Maison d’hôtes is a popular mid-range hotel overlooking the beach in Nice, Goldstar Resort & Suites is a high standard resort hotel in Nice and Le Clos des Oliviers Grimaud is one of the best-rated hotels near Saint-Tropez. 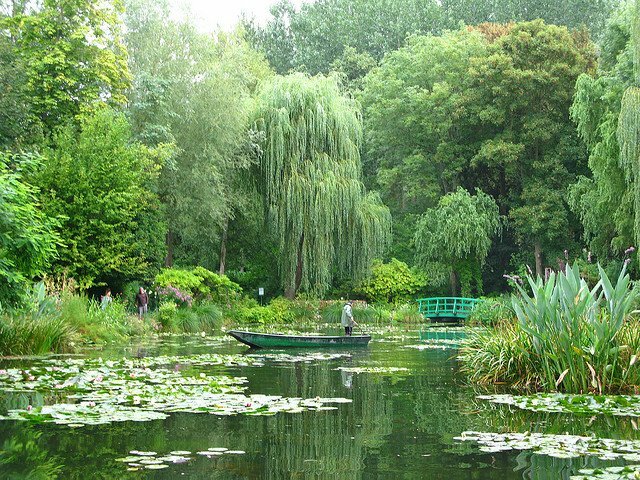 Easily one of the most beautiful places to visit in France, Giverny is a riverside rural idyll located on the borders of Normandy in Northern France (only an hour’s drive from Paris) which is most famous for being the birthplace of impressionism. The small village was once Claude Monet’s cherished country retreat and now both his postcard-pretty pink shutter-board house and beautiful country gardens are open to the public. Planted by Monet himself, the walled water garden (which inspired so many of his famous paintings) features white and purple wisterias, water lilies, weeping willows, bamboo and the iconic green Japanese bridge. Some of the best-rated places to stay in or near Giverny include the quaint quintessentially French retreat Les Jardins d’Hélène, the lovely resort of Domaine de la Haie des Granges and the beautiful Maison In Normandie. 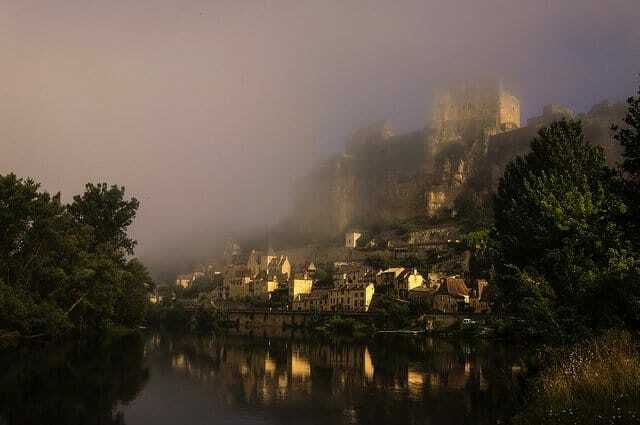 The Dordogne (which lies to the south-west of the country) is an exceptionally picturesque place to visit in France which seems to please even the most discerning of travellers. The region’s long roads and rivers wind through unspoiled pastures, spectacular gorges, charming medieval towns and villages of rich historical heritage. It’s also very famous for its prehistoric cave paintings in the Vézère Valley, like those in Lascaux Cave. 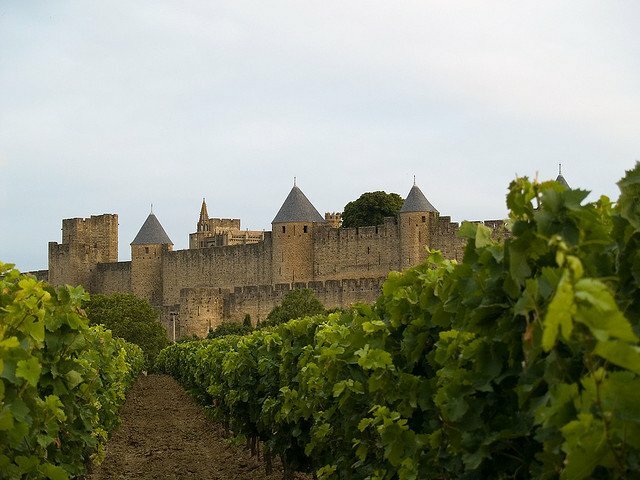 Include a visit to the sacred pilgrim’s monuments en route to Santiago de Compostela, sample the local wines still produced by many of the chateaus and explore the ancient fortified towns such as the visually striking Beynac-et-Cazenac. Some of the best-loved places to stay in the stunning French region are the rustic retreat Chambre d’Hôtes Domaine La Fagette, and the great value bed and breakfast Sarl La Ferme de Maraval. The birthplace of champagne is also one of the most beautiful regions in France and unsurprisingly it’s very popular destination in France with wine trail tourists. Champagne-Ardenne, located northeast of the country, has miles of Champagne trail routes, pristine and scenic countryside, medieval chateaus and vineyards as far as the eye can see. Make sure you visit the region’s capital Troyes for impressive art and architecture and Reims for its famous cathedral and vast network of underground wine cellars. Planning a stay? The Chambres d’Hôtes – La Demeure D’Eirene is an excellent hotel in Troyes, Etapeboisee are unique chalets in Fumay and La Grange en Champagne is a traditionally French bed and breakfast in Hermonville. 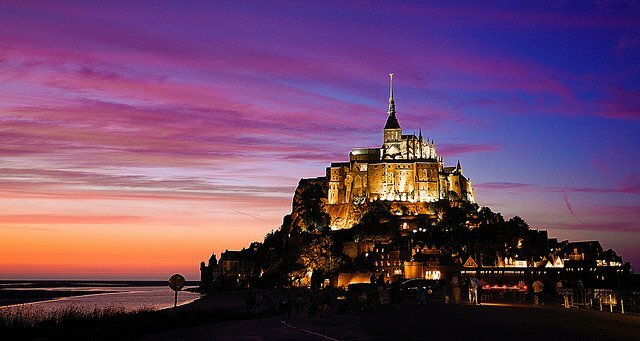 Second only to the Eiffel Tower as France’s best-loved landmark, Mont St-Michel is rocky, peaked island connected by a causeway to northwest France. It’s an imposing sight sitting amid sprawling sandbanks and powerful tides but the heritage site is most celebrated for its Gothic-style Benedictine abbey. Directly below the grand monastery is a medieval village complete with winding streets dotted with small houses and souvenir shops. Les Terrasses Poulard and La Mère Poulard are both popular hotels based on the actual island. You should also spend a few days exploring the rest of the Normandy region. 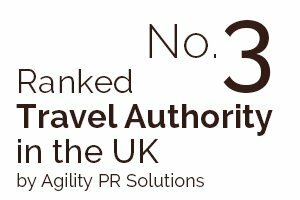 Filled with history and lush green landscapes expect dry-stone farmhouses, chalk-white cliffs, half-timbered buildings and picturesque chateaus. The historically important site of the Normandy Landing beaches and the famous Bayeux tapestry is also located here. 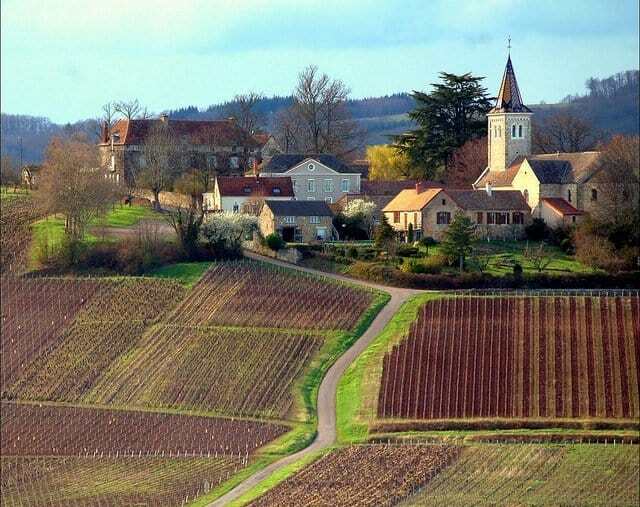 Located in east-central France, Burgundy is a popular tourist destination in France with a reputation for making some of the world’s best wines. It is also a very beautiful location with a pristine natural environment and dozens of picturesque villages to enjoy. Burgundy is a historical area that is home to many of Europe’s most impressive Romanesque structures including the Fontenay Abbey and Basilica of Vezelay. There are also many gorgeous castles to explore including our favourites, the magnificent Chateau d’Ancy le Franc and Chateau de Cormatin. One of the region’s most impressive natural assets is the Morvan National Park, which is located in the heart of Burgundy. It consists of more than 1,000 square miles of pristine wilderness and is an excellent location for camping or hiking. The gorgeous retreats Domaine Pont Juillet and Maison le Village – Maison d’Hôtes are very popular places to stay. Located right on the border of Germany and France this heritage city has the charming characteristics of both countries. 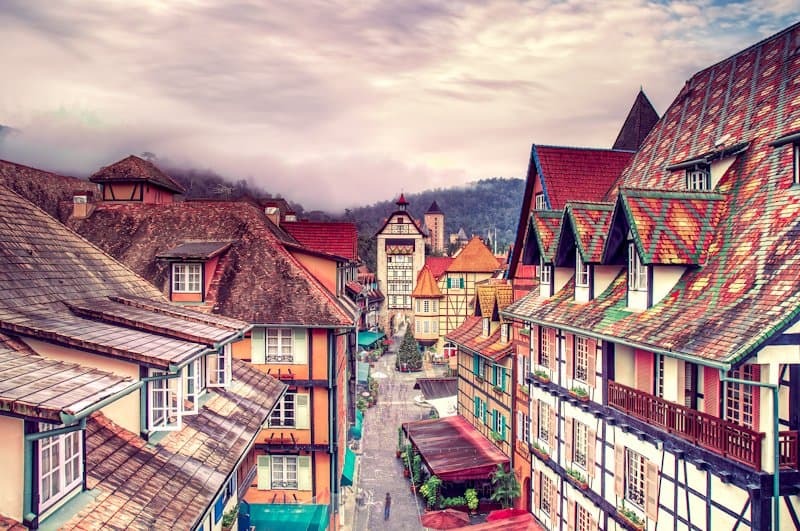 It’s a picturesque place, famous for its riverfront half-timbered houses, gothic cathedral and obvious fondness for flowers! It also makes a great base for those wishing to visit the nearby Black Forest or the River Rhine. Great places to stay in this attractive French gem include the unique modern Hotel D – Strasbourg or the elegantly traditional Quai 17 Maison d’hôtes. A region in southeastern France bordering Italy and the Mediterranean Sea, the spectacular Provence countryside definitely deserves a mention of its own. If you head for the Luberon area (located at the heart of the Provence region) you’ll find the most stereotypical scenery of rural Provence – beautiful landscapes filled with seemingly endless lavender fields, lush olive groves, undulating vineyards and pretty ancient hilltop villages dotted with shutter-board houses. Make sure you also include trips to the picturesque villages of Baux-de-Provence and St. Rémy, and the dazzling walled city of Avignon. Long lazy days and alfresco lunches await you in this rural chic paradise! Places to stay in the most beautiful part of the region are Mas Dansavan Chambres d’hôtes, La Rivayne and the stunning popular holiday home The Mazet of Emilia. Corsica is stunning island located in the Mediterranean just off the coast of southern France. It is a popular tourist destination that is known for its many pristine beaches, incredible scenery, and harbour town resorts. There is more than 1,000 km of coastline surrounding Corsica, which provides visitors with plenty of opportunities for fishing, boating, or swimming. The Mediterranean climate is a major drawcard, with the weather being warm enough to enjoy the water all year round. The most beautiful spots in Corsica include the beaches of Désert des Agriates (white sand and crystal clear blue water), the Perched villages of la Balagne, Scandola Nature Reserve, the Gorges of Restonica & Tavignano, and the Fortress town of Bonifacio. The Lavezzi islands, which are located between Corsica and Sardinia, are also worth visiting. Thinking of visiting? Try La Ghisonaise Chambre d’hôtes, Chambres d’hôtes – Fiore di Machja or the stunning Domaine de Piscia. A wealthy suburb of Paris, Versailles is an important administrative centre and a proud tourist attraction in its own right. It’s most famous for its chateau – the hugely grand and ornate Palace of Versailles which once housed the kings of France (including the ill-fated Louis XVI and his wife Marie Antoinette). Both the immaculate palace and manicured gardens are extraordinary and the palace offers a beautifully preserved insight into the lives of 18th-century French royalty before the start of the legendary French Revolution. To stay very near, the Le Louis Versailles Château is a very popular hotel. The French Alps are probably best known for their up-market ski resorts, but the region is also home to some very attractive towns which make lovely places to visit in both summer and winter. 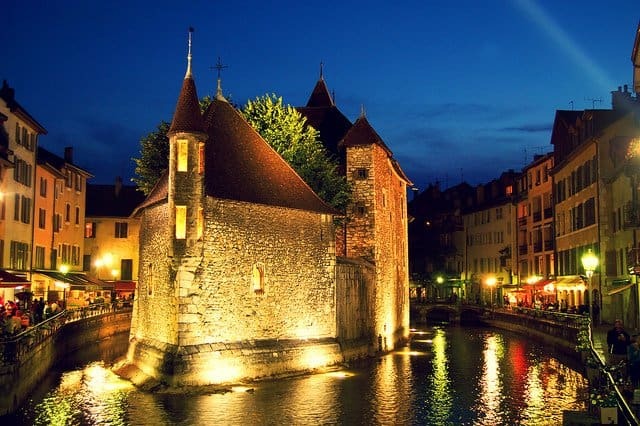 One that really stands out is Annecy, also known as the ‘Venice of Savoie’ the city is interspersed with small canals with a postcard-pretty 14th century Chateau at the centre. With its unique central focal point and backdrop of beautiful snowy mountains, Annecy is easily one of the most photogenic towns in France. Brittany is a coastal region with jagged coastal cliffs, sandy beaches, quaint coastal fishing villages, majestic chateaux, and dozens of mediaeval towns. It is a popular destination in France with tourists who come to the area to enjoy the authentic culture, wonderful scenery, and delicious food. There are dozens of beautiful places to visit along the coastline of Brittany including the steep cliffs of Pointe du Raz, Cap Fréhel and the Crozon peninsula. The beaches are also a major drawcard, with Ploumanac’h, Morgat, and Quiberon being the most popular. If you head inland, you can visit Brocéliande forest, parish closes (enclos paroissiaux), or the amazing megalithic standing stones at Carnac. Lyon is France’s second-most important city after Paris. It is a historic city with a rich culture and beautiful architecture. The city is listed on the UNESCO World Heritage list and is home to some of the world’s most precious ancient ruins, Roman structures, and mediaeval buildings. Lyon is located at the confluence of the Rhône and the Saône Rivers. 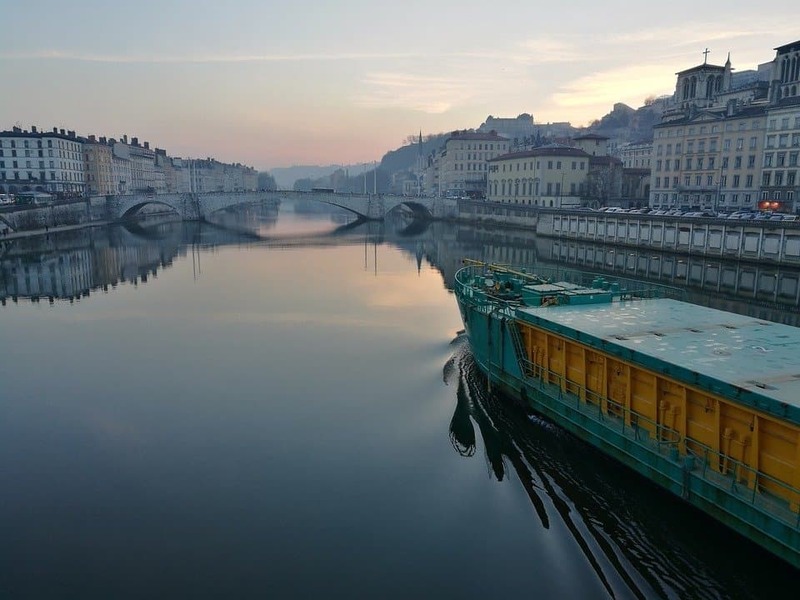 This is a scenic location and one of the reasons why Lyon is such a romantic location. The romance of the city is enhanced by the many narrow winding streets and ancient buildings it contains. There are dozens of beautiful places within Lyon, but we loved the atmospheric Quartier Saint-Jean, because of its mediaeval buildings and cobblestone lanes. The Place Neuve Saint-Jean is also a must-see. It is a picturesque square will many shops and traditional restaurants — the perfect location for a romantic dinner. Other beautiful places in Lyon include Colline de la Croix-Rousse (a historic neighbourhood built on sloping streets), Presqu’ile District (stunning architecture and town squares), and Basilique Notre-Dame de Fourviere. Rhône-Alpes is a beautiful region located in the southeast of France. It has a very diverse landscape which includes mountain ranges, winding canyons, and gentle valleys that are dotted with hundreds of farms. It is difficult to describe the incredible beauty of the natural environment in this part of France. There are dozens of spectacular locations to visit, including Gorges de l’Ardeche — a series of winding gorges located in Ardèche. Lake Geneva is another must-see location if you are visiting the region. It is a huge natural lake shared between Switzerland and France. It’s the perfect location for boating, fishing, swimming and water skiing in the warmer months. Another one of our favourite locations is Les Pertes de le Valserine — a tranquil river walk in Bellegarde sur Valserine. It really showcases the natural beauty of the region, including its varied flora and fauna. Rhône-Alpes is also home to many charming towns and cities. They include Lyon (Rhône), Grenoble (Isère), Saint-Étienne (Loire), Valence (Drôme), and Chambéry (Savoie). They are all scenic locations with incredible architecture and wonderful green spaces to enjoy. The best time to visit Rhone-Alpes is during the summer months (July to August) and ski season (December to March). Auvergne is a unique region located in central France. Now part of Auvergne-Rhône-Alpes, the landscape in Auvergne has been shaped by ancient volcanoes into a series of mountain ridges, craters and valleys, called the Chaîne des Puys. The landscape is dramatic, impressive, and very grand. It is a fairly slow-paced part of France that is home to many ski resorts, farms, and country towns. Because this area is mostly rural, there are multiple areas of pristine natural beauty to enjoy. The volcanic past of Auvergne is very obvious, with huge craggy outcrops of rock and an abundance of natural hot springs. The region’s largest city, Clermont-Ferrand, also showcases the volcanic history of the region well. The paving stones, statues, and shop fronts are all carved from the volcanic rock that is plentiful in the area. Clermont-Ferrand’s Gothic cathedral is also constructed using local volcanic stone. The best option for viewing the region’s spectacular mountains is the Panoramique des Dômes — the youngest volcano in the Chaîne des Puys. It has a high viewing platform that offers visitors incredible views. Colmar is a picturesque town in the Grand Est region of northeastern France, close to the border with Germany. It is a remarkable town because of its classic architecture and rich culture. 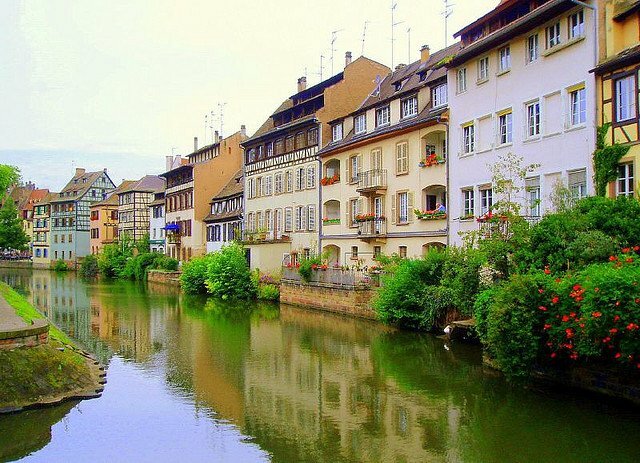 There are many beautiful places to visit in Colmar. One of the prettiest locations is Little Venice, which is a course of the Lauch river that flows through the town. Houses line both sides of the river and boating through this section of the town is a wonderful treat. The architecture in the town is quite beautiful, with highlights including Old Town, the Pfister House, Route des Vins, Koighus, the Dominican Church, and Saint Martin Church. 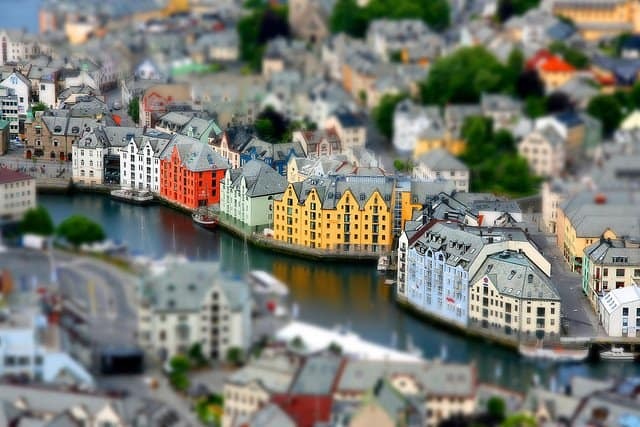 It is a romantic little town that is worth visiting. 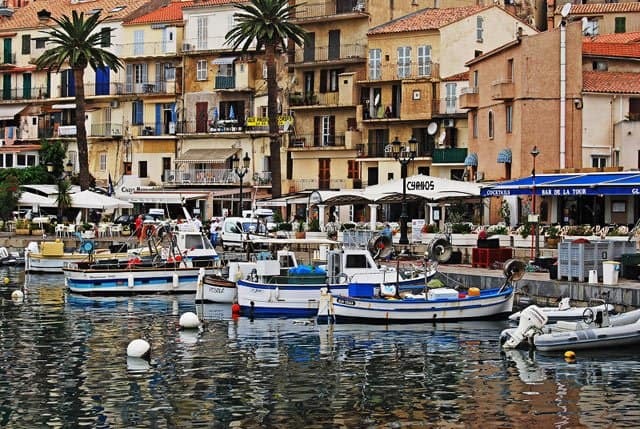 The south of France has a well-deserved reputation for being a beautiful location. 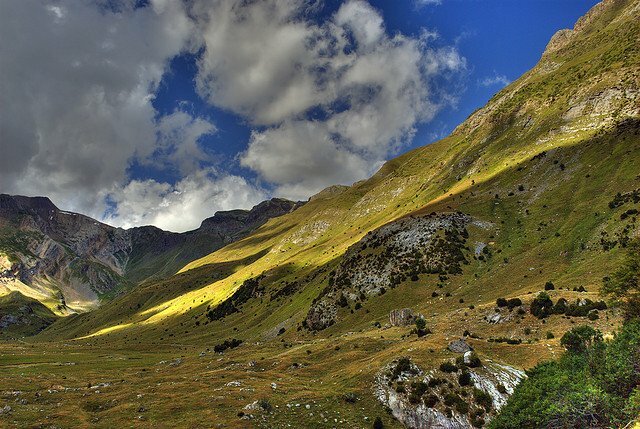 The Midi-Pyrénées showcases the incredible beauty of this part of France perfectly. The region encompasses the French Pyrenees including the stunning Pic du Midi de Bigorre, Cirque de Gavarnie, and Néouvielle Massif. The scale of the mountains in this part of France has to be seen to believe. Moving away from the mountains, there are many valleys and foothills to explore, along with wonderful bodies of water including Lake Gaube, Lac de Genos, and Bethmale Lake. The lakes in Midi-Pyrénées are a fantastic spot for camping, fishing, and hiking. 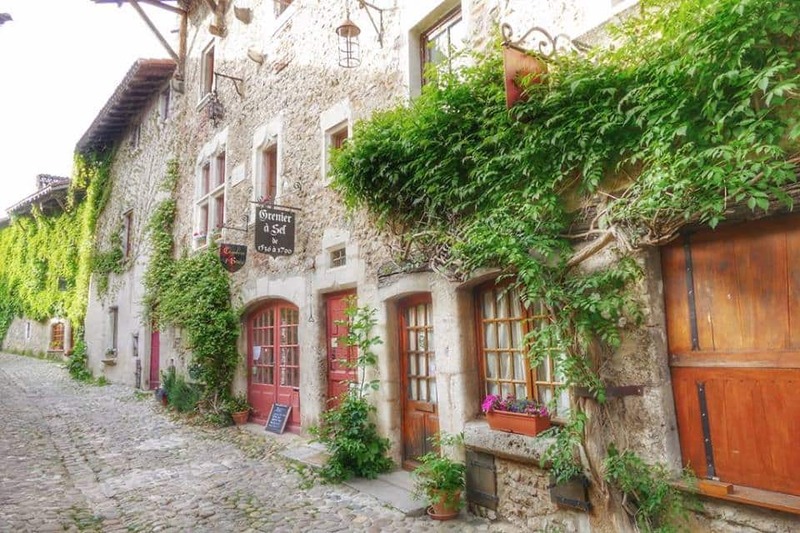 There are countless charming villages to visit in the south of France, including Conques, Rocamadour, and St-Bertrand-de-comminges. Toulon is the largest city in the region. It is another beautiful French city that is packed with art, culture and incredible architecture. Languedoc is a historical coastal region in southern France. It stretches from Provence to the Pyrenees Mountains and the border with Spain. This part of France benefits from a warm Mediterranean climate and has a pristine natural environment. 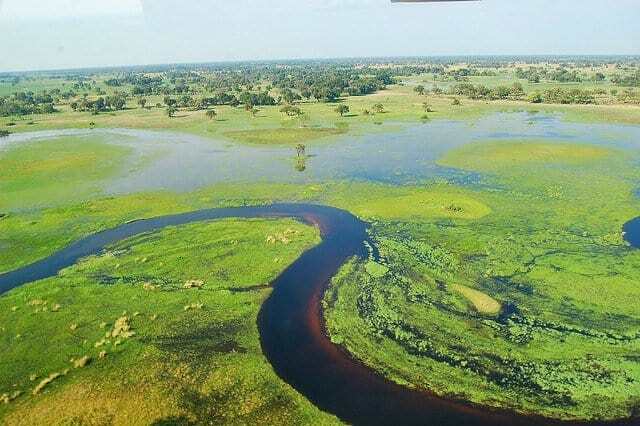 It is one of the most geographically diverse regions in the country, with wetlands, mountains, sandy beaches, and arid stretches of land near the southern border. 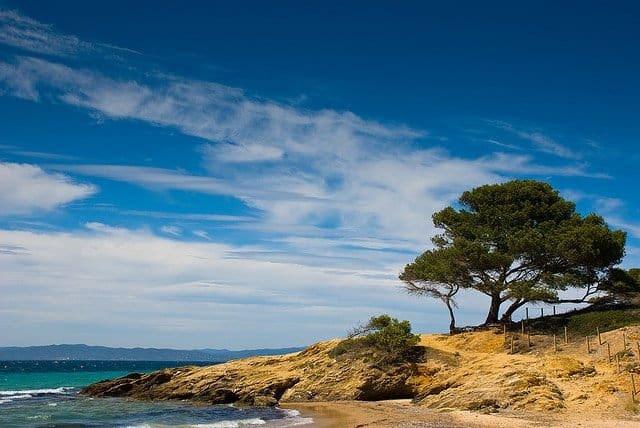 The coastline is home to many incredible beaches, along with the bustling cities of Montpellier and Nîmes. Venturing inland, you will find the wild country of the Grands Causses and Cévennes. Heading south, the landscape becomes drier and the Spanish influence is more obvious. There are dozens of beautiful locations to visit, including Pont du Gard (Roman aqueduct), Cap d’Agde seaside resort, Cité de Carcassonne (mediaeval citadel), Gorges du Tarn, and Château de Quéribus (a ruined castle in the commune of Cucugnan). 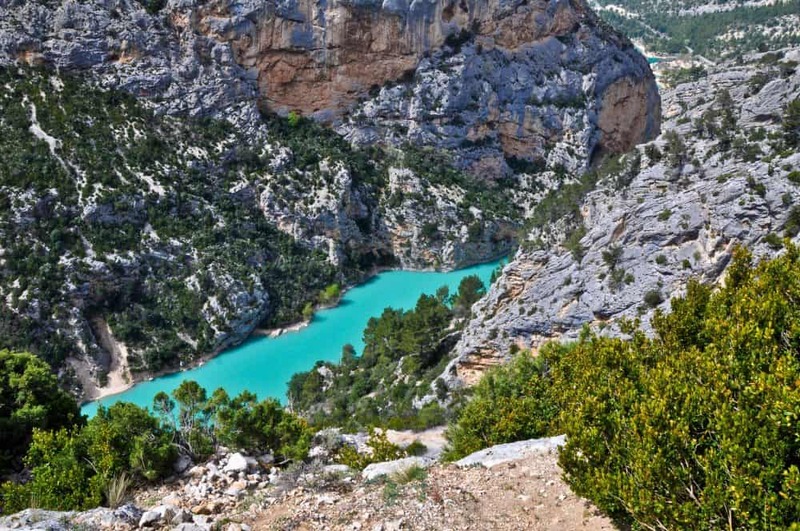 The Gorges du Verdon is one of the most spectacular sights in Europe. Sometimes referred to as the Grand Canyon of Europe, it is a 25-kilometer long and 700 metre-deep natural canyon located in Alpes-de-Haute-Provence in southeastern France. Gorges du Verdon is named after the wonderful green water of the Verdon river (“vert” is French for green). This incredible natural gorge has been attracting tourists to the region since the mid-19th century and is still extremely popular. Most visitors to the gorge come to the location to swim, hike the rim of the canyon, or paddle a boat along the river. Bit of a Francophile? If you liked 20 of the most beautiful places to visit in France we also have Top 10 cool hotels in Paris, 10 of the prettiest wine regions in France. All these places are amazing & beautiful. Nice picture collection as well. Wow, amazing pictures. Something more to see than Paris in France! 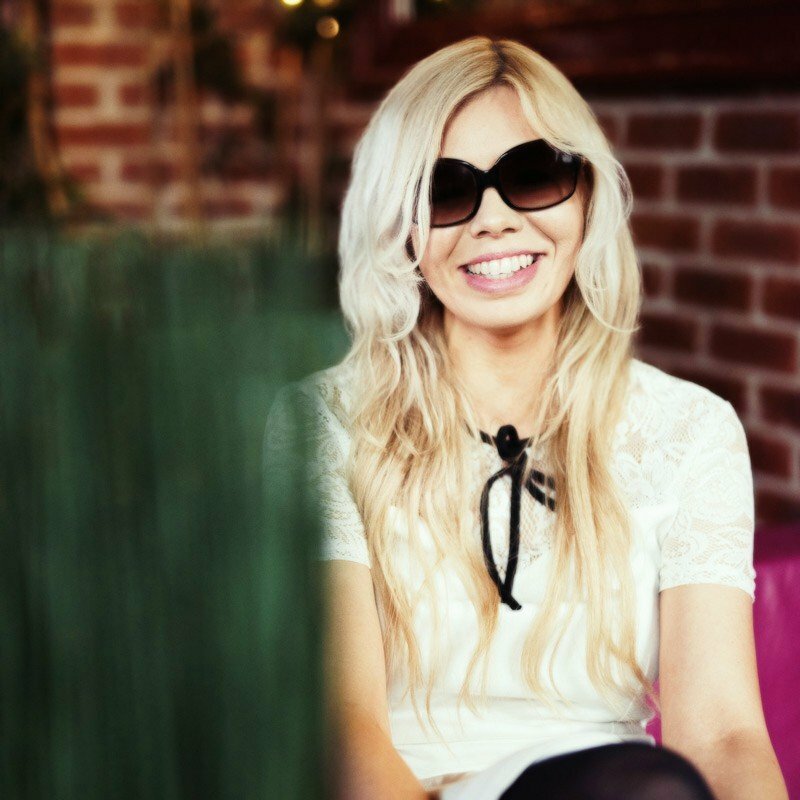 This is an awesome article i love it, thnx Becky Padmore for this beautiful article. France is one of the most beautiful country in the world and it is also include in top ten beautiful countries in the world. France is considered as one of the most beautiful country in the world and tourists appreciate this country for its heavenly beauty! I think instead of visiting Strasbourg try to visit the small villages down south on the way to Colmar, it’s one of the best road trip I’ve done in France. The name of the road is ‘la route des vins’ (wine’s road). Some villages are definitely much more beautiful than Strasbourg. My girlfriend and I will be traveling to France in December. We will be flying into Milan, Italy first and then driving into France. My question is, what part (North or South) of France would you recommend seeing during the winter? We both are looking for the small village, but we will be visiting Paris sometime during our visit. Agreed!! Loire Valley is the best. With the numerous Chateaux and vineyards, one just falls in love with the region. So much to see and do!!! I have only been to Paris years ago and would like to explore more of France. Thinking of going there for a week with husband (no car) where would you suggest we could squeeze in for a week with a few day trips thrown in. Hard to choose from the blog which is the nicest area to go. We’d suggest basing yourselves in the Luberon area of Provence and then including day trips to Baux-de-Provence, St. Rémy and the walled city of Avignon. It’s a truly beautiful area which will give you a taste of a perfectly preserved traditional France. Thanks Graham for this helpful info regarding where to visit in France. Do you have your own website? I am on a 7 day trip to Europe taking a delivery of Mercedes at Stuttgart. I will be driving from Stuttgart to Paris for 4 days in April 2014 and would like to spend 3 days in Paris. Any suggestions on places which we can visit along the way. Please let me know. I have no clue on what to plan and places to visit. Hi Ram Ram we would suggest stopping at Strasbourg, Metz and the Champagne region (including Reims). Enjoy your trip! France is considered the most beautiful country for tourism in the world, every year a ranking list of top ten countries with most attractive places is prepared. 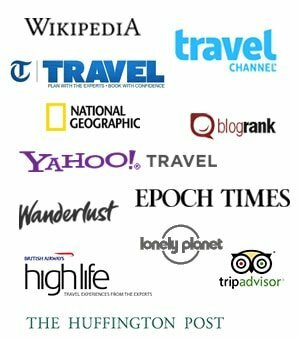 Following is a list of top ten most beautiful countries for tourism and this list is prepared in 2013. check this beautiful report. This will surely help in exploring france. France is also a great place for a honeymoon, it’s very romantic and has some really gorgeous countryside. Great post! My wife and I are heading to France for four nights and five days this summer as part of a mini-European tour through Belgium and Holland as well. I think it’s going to be difficult for us to hit all of these spots this time, however, especially as we’ll probably lose two days to Paris. Any recommendations as to which of these places should not be missed on a first visit to France? Hi Ed, If you’re going to Paris then you could include a trip to Versailles without too much difficulty. Then I would personally try to fit in as much as the Côte d’Azur and then some places in the Provence countryside including Baux-de-Provence, St. Rémy and Avignon. Hope this helps! Hi, what about Lyon? Would you recommend going there? Hi Gwen, Lyon is a lovely city but head further to Burgundy and you’ll find some of the finest French countryside. I really liked Lyon, particularly the older area and cathedral. Didn’t get to see a lot of countryside, ply that from the train on way to paris. But I could easily see living in Lyon. France is so beautiful, thanks for sharing these amazing places. 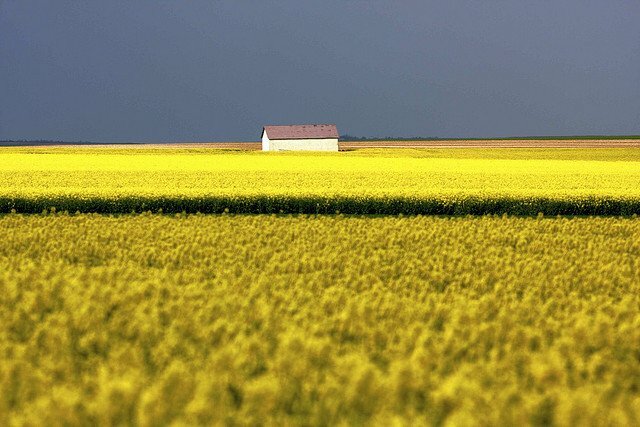 Some truly inspiring photos here – I don’t know which one is the best ! Only last week I was looking for places to visit in France, near to Paris. More info about Loire valley will be welcome. I just wanted to say I have been a long time follower and I appreciate all of your writing. A lot of work must go into putting out quality content like this. Thanks again. WHen i see all those places i really like to visit France. A good choice but no mention of the Pays Basque ! La plus belle pays ! i loved looking at this photos it made me fell like i was there i have fished my home work now thanks to you. yup i have now gotten some of my homework done bow i just need to write a booklet on a tour f france!!!! helpful? definetly. France would be on the top ten list of places i would go to. Thankyou for this helped me lots. Becky, these photos are unbelievable! WOW! I’ve been to about half on this list, with the Loire Valley being my favourite. Now you’ve got me wanting to go back to see the rest! Thanks for sharing! I LOVE France! thanks for sharing! Been to most of the places on this list…but there’s still so much more to see… I would like to add La Rochelle to this list as it’s my fav city in France. Really lovely! Hey thanks Yvonne, yes it was very hard to choose just ten! 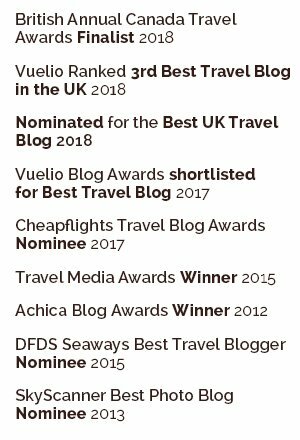 Thanks for the comment we’ve just added a link to an article about La Rochelle as one of our writers went there and loved it too!